Vehicle tinting, House tinting, Commercial Tinting, Frosting Film, Vehicle Valet, Custom Stickers, Basic Sign writing, Bonnet Protection­. & up to 64% Heat & Glare reduction. *Full mobile service available ask for quote. For a quick free quote please e-mail, txt or ring us for the XPERT advise. 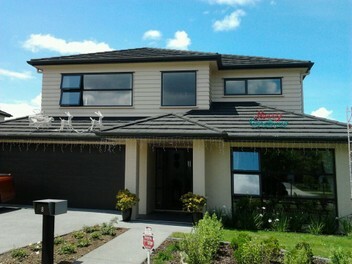 197 Great South RD, Takanini. Thanks From: Xpert Window Tinting & Signage. Great job done on our car , Super quick and they look awesome, awesome service,,Thanks !! Hi there. How much to tint van toyota hiace 2017? And how soon can you do it? Thank you. Excellent job done by the team. Rang in the morning. Kane was around in the afternoon to measure up and to show me samples and explain the procedure. Had everything completed within the week. Would highly recommend this company for window tinting. Thanks Alan for friendly and professional work. House tinting looks great. Cheers. Alan & Danielle: Hi there, can you please email us your contact number and we will contact you asap. This space is for reviews only! Had my house tinted today and what an excellent job done by Alan and Danielle. Fully professional team. Came out prior to do free measure and quote and absolutely no pressure from them with great advice. (Job was 55km from there base) Still no problem for them.Thanks guys for AWESOME job. Great service very friendly and great result on my silvia the tinting looks really great thanks. Alan is very friendly and knowledgeable, I had Car Folie done my car before while they are good I wouldn't go back again as Alan does a better job with better price, totally recommended. An excellent job done on house windows. Danielle was friendly and worked efficiently and anything that had to be moved was put back in place. Would recommend this firm to anyone. Very impressed with the service and result. We used Xperts mobile service and they are so quick and efficient!, our car looks fantastic! See these guys to get your windows tinted! They are a friendly bunch too! Awesome work - great mobile service too. Very flexible with times that suit. The car tints looks great and I'm sure they will be effective in protecting my baby against harmful UV rays. awesome job all round. thanks... highly recommended. Great service and a great job on my HSV too.